An iconic Pennsylvania-based military prep school has gone out of business and the contents of its armory are going to the auction block. Located in New Bloomfield, Carson Long Military Academy had a history that goes back to 1836 but announced this summer that, due to declining admissions, the institution would not reopen for the 2018-2019 school year. As a part to close out its holdings, the school contracted with Cordier’s Auctions in Harrisburg to sell the contents of the school’s armory, and it is an interesting collection. 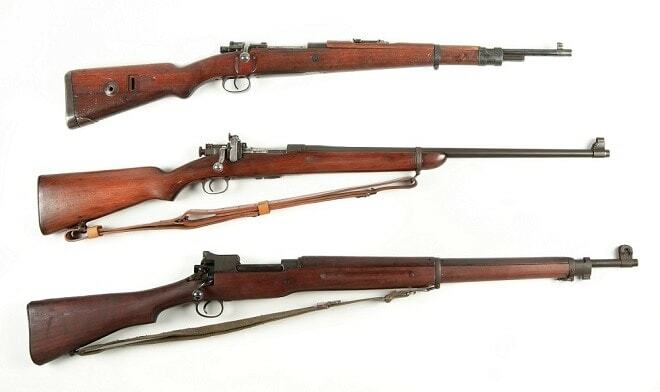 Among the 400 cataloged items are two dozen M1903 rifles in a number of conditions including 13 Smith Coronas, six Remington A3s, and a Springfield nickel parade rifle. Additionally, there are rifled actions available. 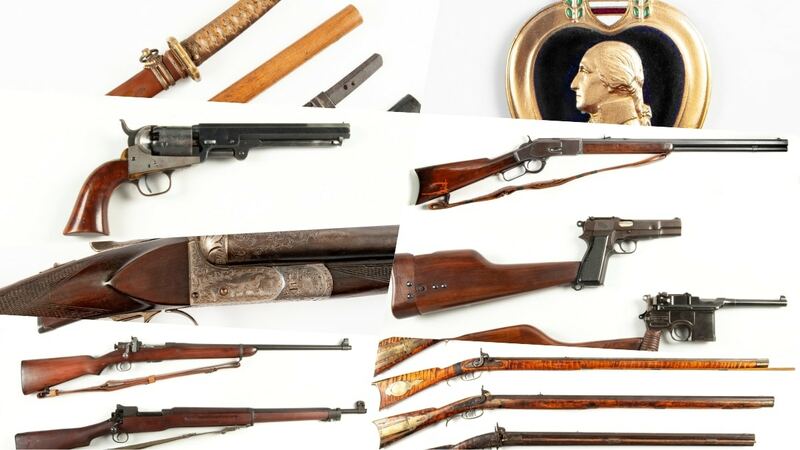 Historic weapons include four Pennsylvania Long rifles with guns by renowned Perry and Lancaster county gunsmiths John Shuler, Daniel Crum, and William Sweger. 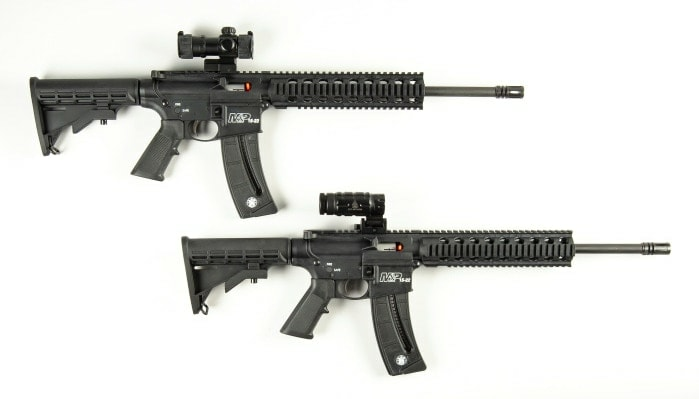 In addition, there are other military rifles including an FN FAL semi-auto, an M1917 Eddystone, a Winchester 1873 rifle marked “59 Atlanta Police” on the receiver, an 1884 Trapdoor Springfield, and a Japanese Type 99 rifle. 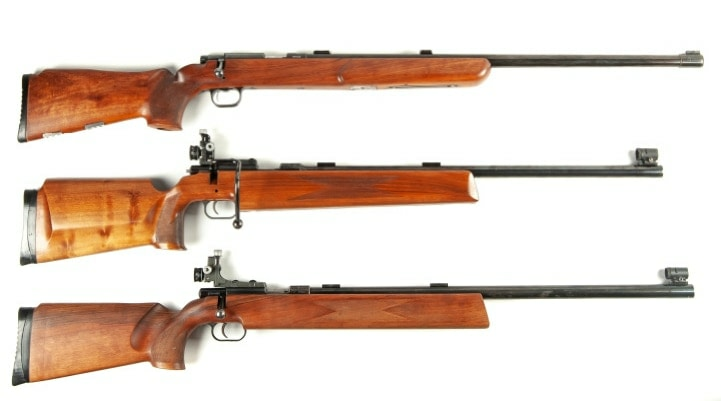 The school was a military academy so it is logical that they had target rifles to include no less than nine Anschutz Model 54s, a Winchester 52 and 75, a Savage 1933 and a couple of S&W M-15/22s. 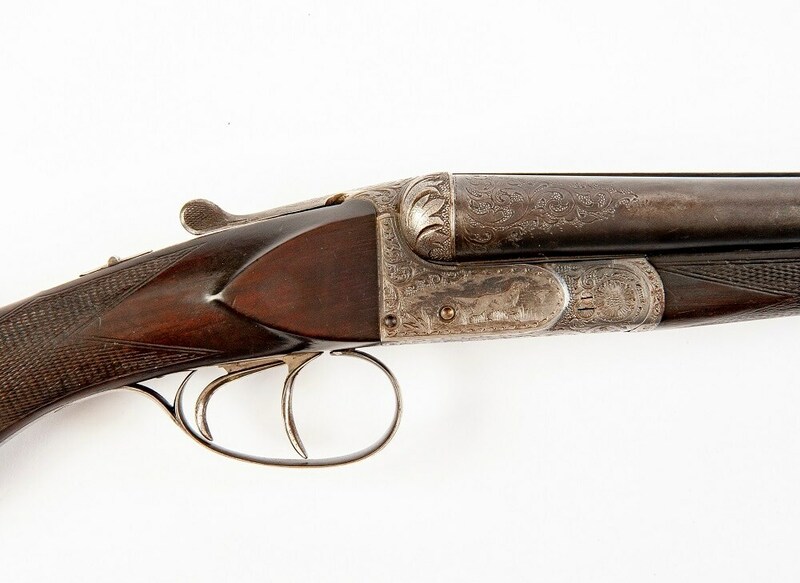 Other guns include a Francotte Knock About shotgun with silver engraving purchased by Abercrombie and Fitch in 1928. 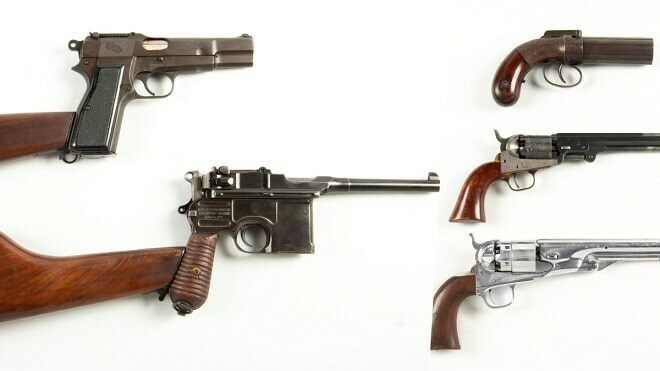 Also making an appearance is a Mauser broom handle pistol marked “Made in Germany” in Chinese script, a Browning Hi-Power complete with stock, an antebellum Colt pocket revolver and a number of historic 19th Century pistols. 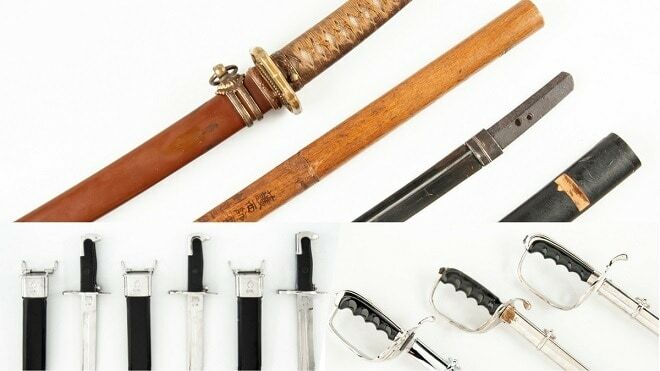 There is also a wide range of edged weapons including Japanese WWII samurai swords, chromed M1 bayonets, and M1902 officers swords.